FOUNDRY is a progressive mix of 17 condo flats, a private fitness club, and creative office space, all designed by Sixthriver Architects. Located at 4th & Comal, residents will be minutes from downtown and some of Austin's most intriguing new restaurants, shops, and bars. 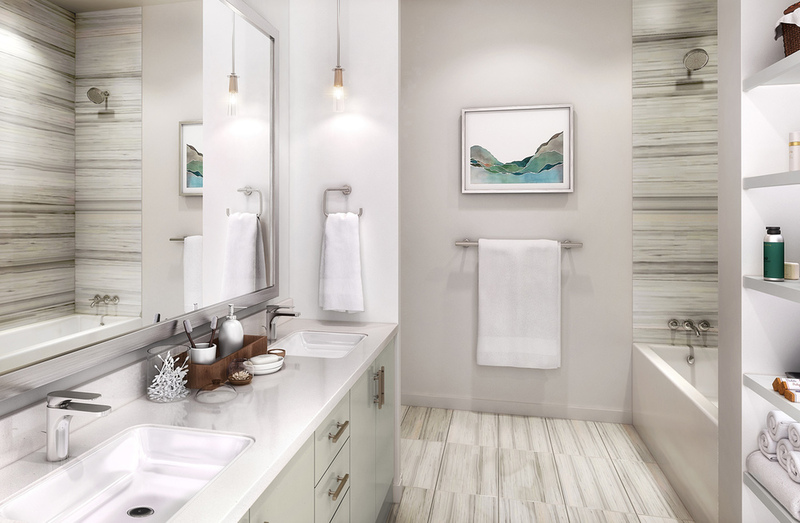 Residences from the $300s. Sixthriver Architects was founded in 1994 with the goal of developing into a small, world class design firm. As a twenty-year old architectural + interiors firm, Sixthriver Architects provides comprehensive design services in Austin and throughout the United States. The firm thoroughly understands the nature of materials and methods of construction, and carefully handles the process from conception to completion. Modern and elegant with industrial accents, FOUNDRY appeals to the discerning homebuyer who appreciates rich materials and smart design. With only 17 residences, Sixthriver Architects took great care in designing creative floor plans with distinctive features including concrete ceilings that reach over 11 feet tall and dramatic floor to ceiling window systems that flood natural light. Unexpected details and oversized terraces are just a couple of the features that make these homes enticingly livable.